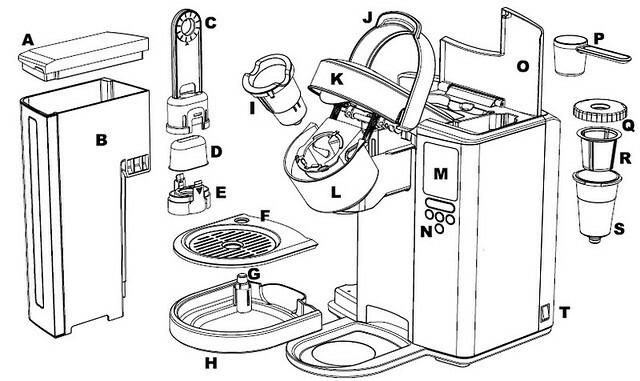 The BKC600XL Gourmet Single Cup Brewer™ – The three step machine for gourmet coffee, tea, or hot chocolate. 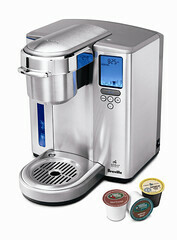 A sophisticated mini-brewer with rich flavorful brews, every cup, every time. A. Water Tank Lid. B. Water Tank. M. LCD Screen. N. Control Panel. O. My K-Cup®/K-Cup® Holder Storage. P. My K-Cup® Measuring Scoop.